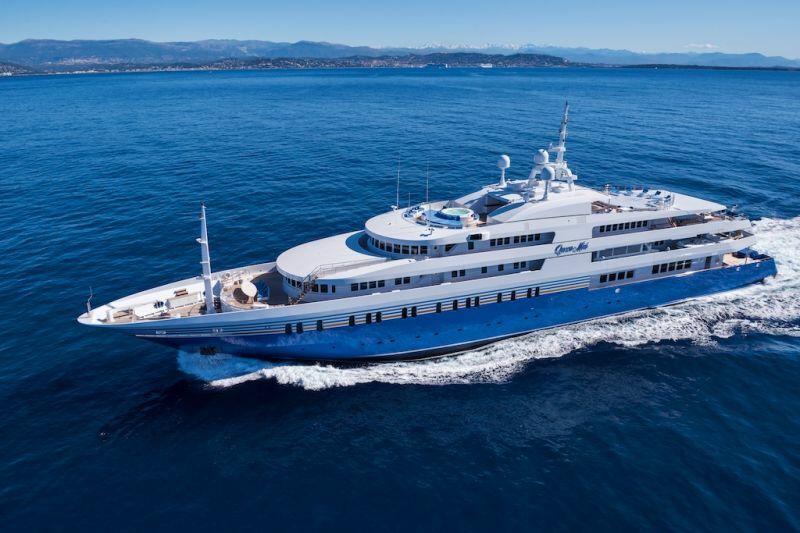 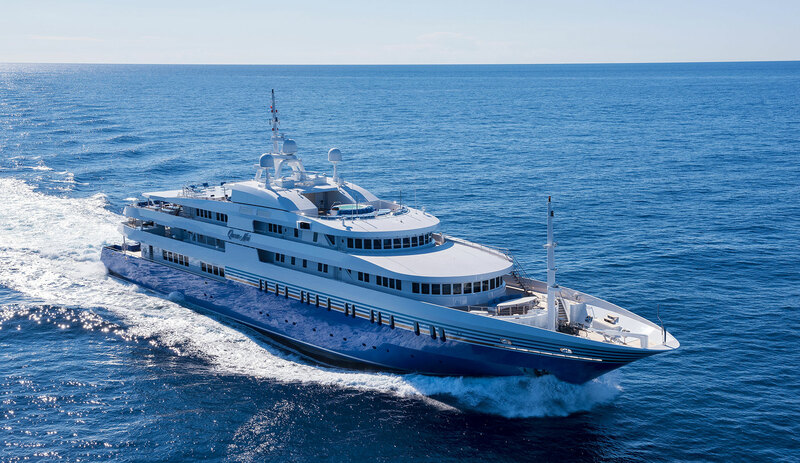 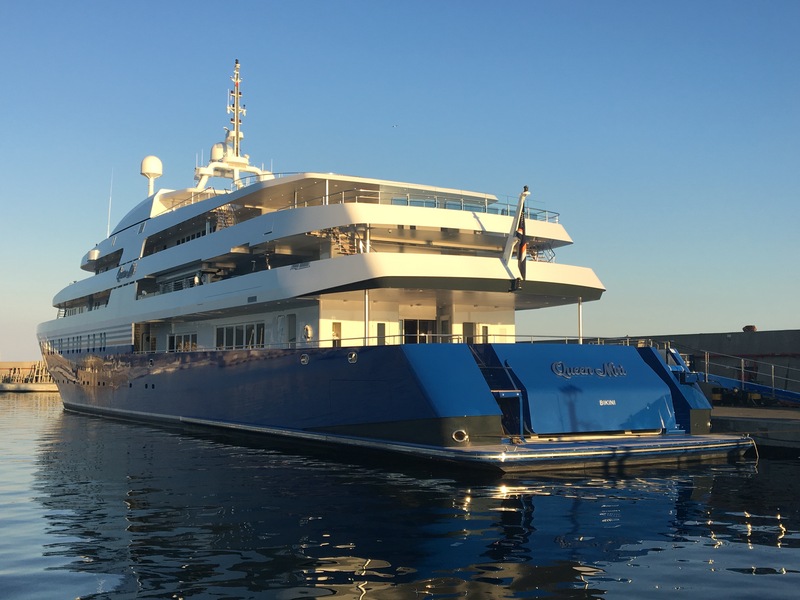 Luxury motor charter yacht QUEEN MIRI (ex Delma, Annaliesse) is a 92m (301,10ft) luxury vessel built to the highest international safety and quality standards. 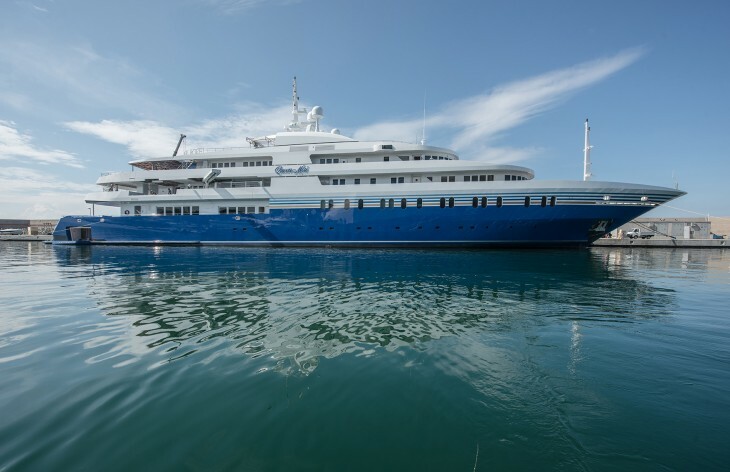 In 2016 she underwent an extensive refit and hull extension from 85m to 92m. 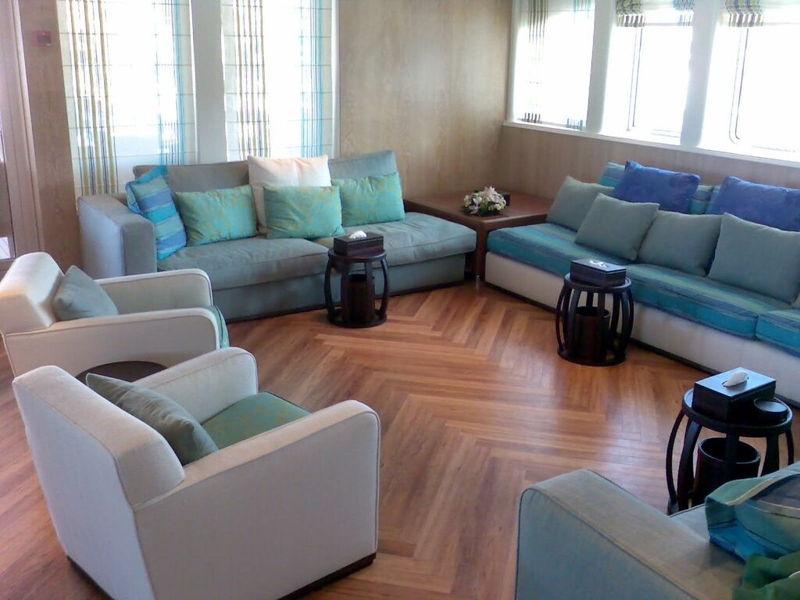 She can accommodate up to 36 guests in fabulous surroundings. 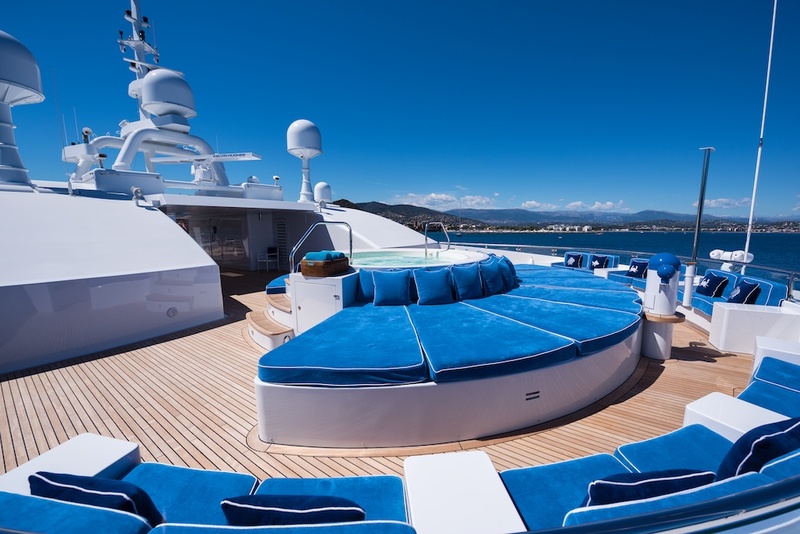 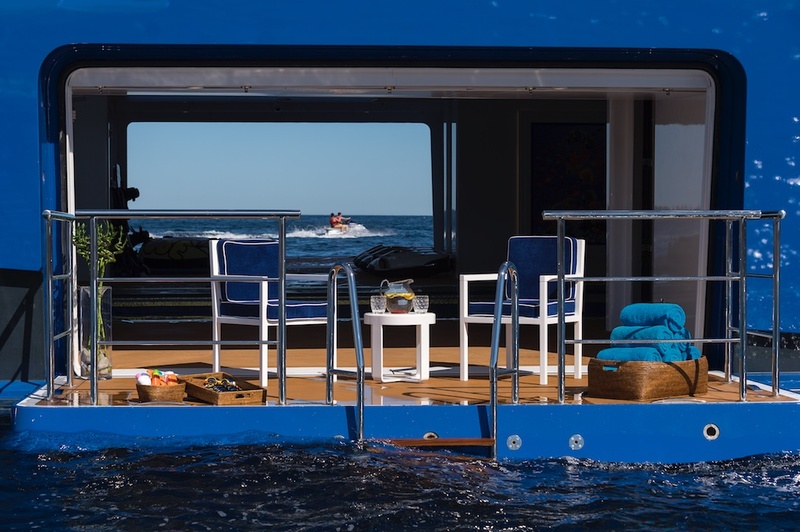 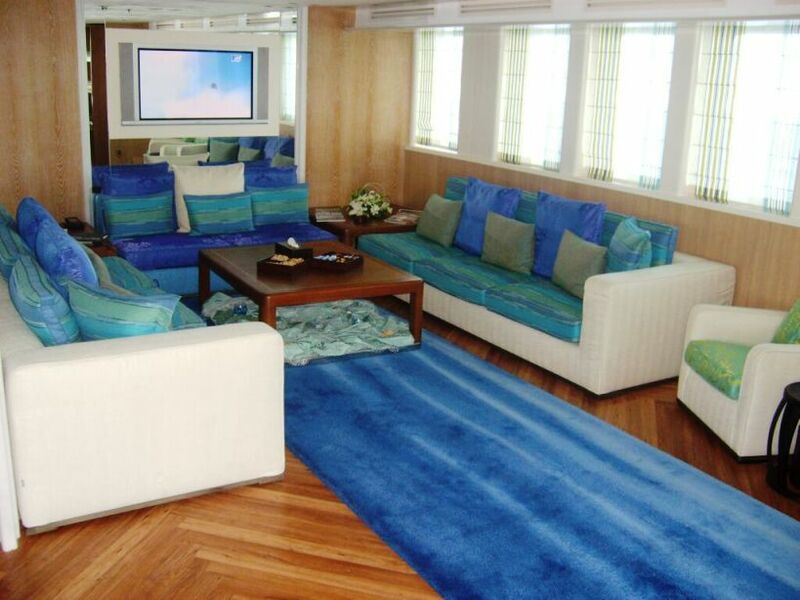 At 92 meters, Queen Miri can offer excellent entertaining spaces to her charter guests. 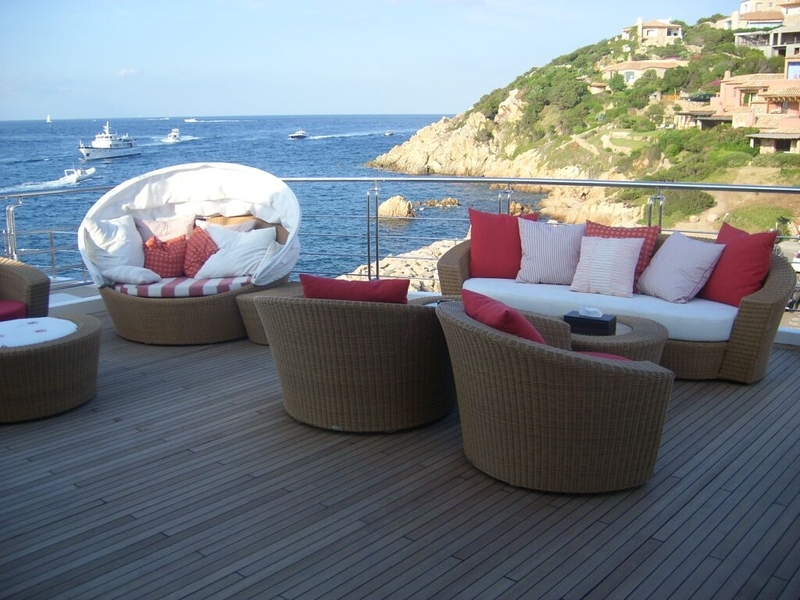 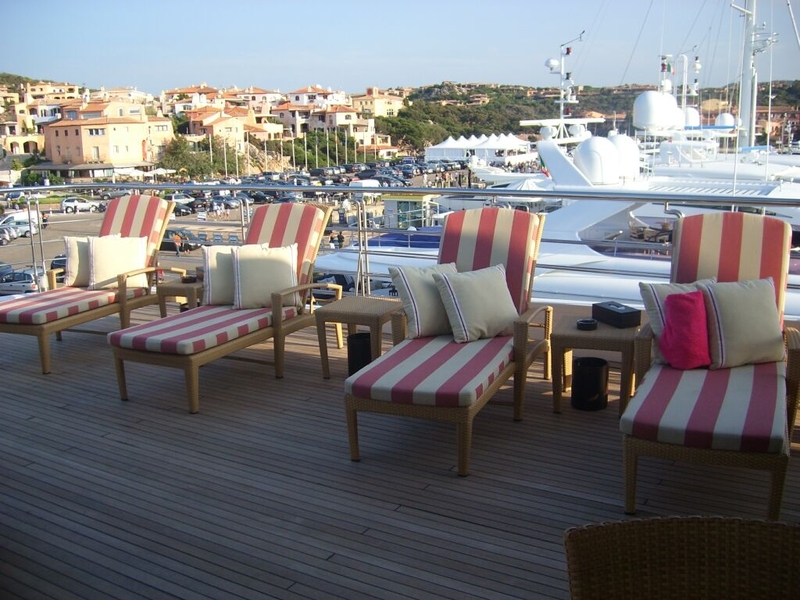 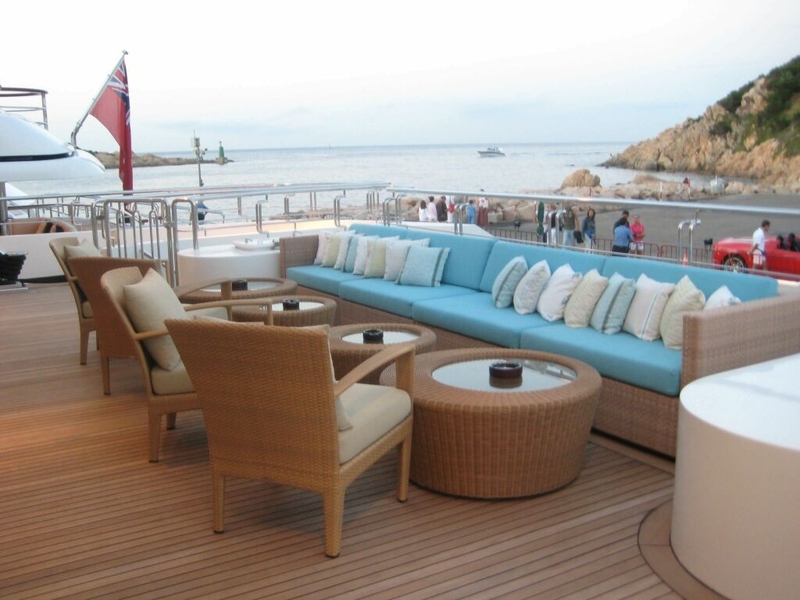 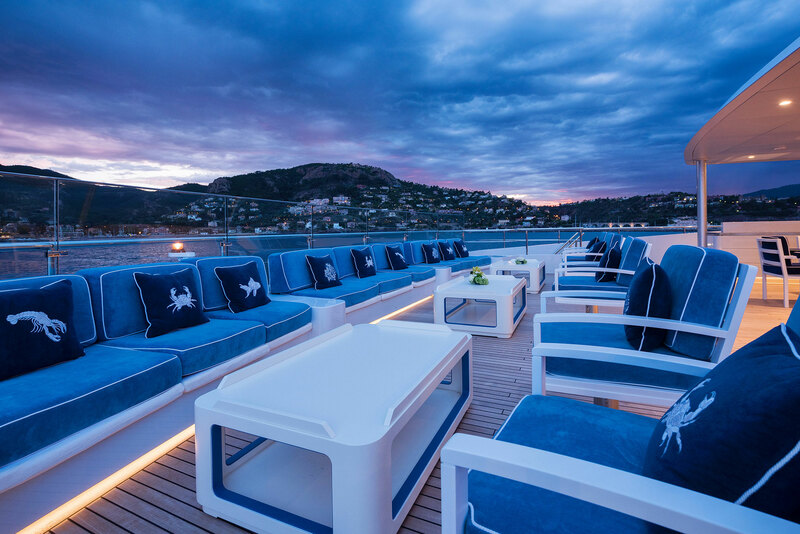 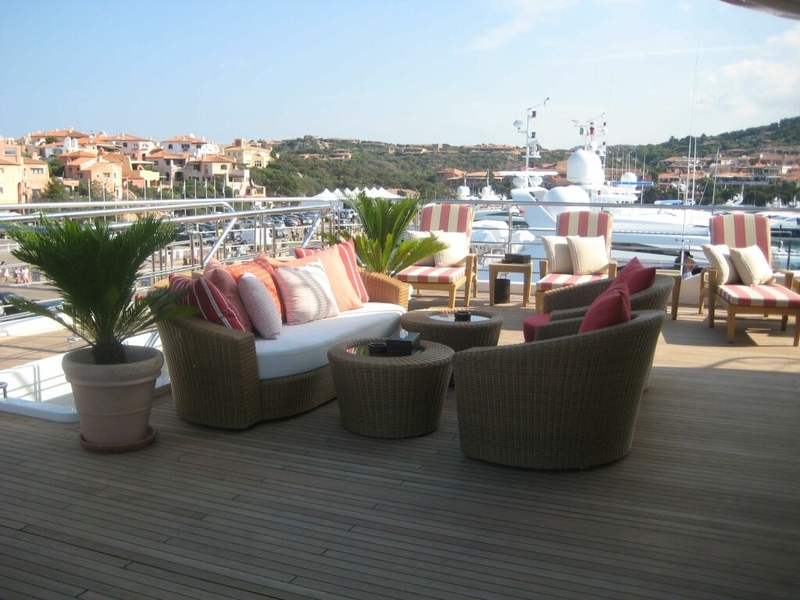 The main deck hosts teak seats and tables with illumination for evening socializing. 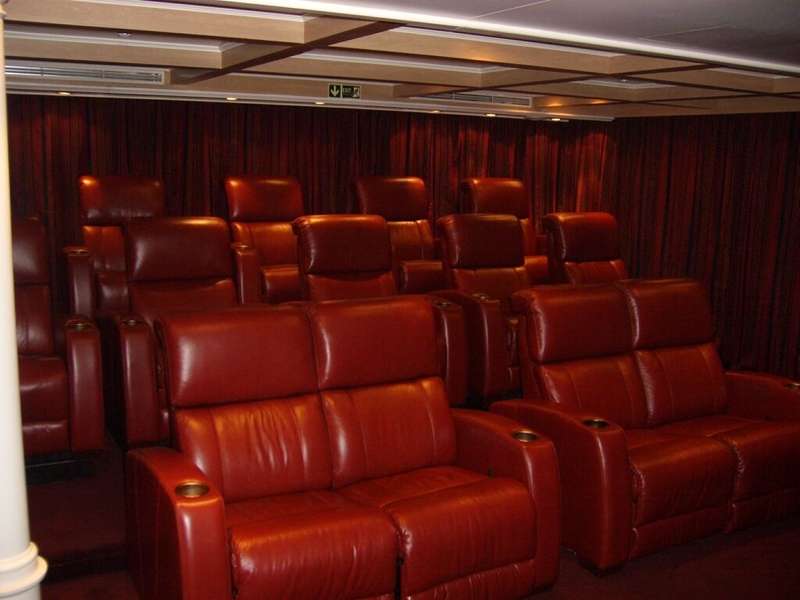 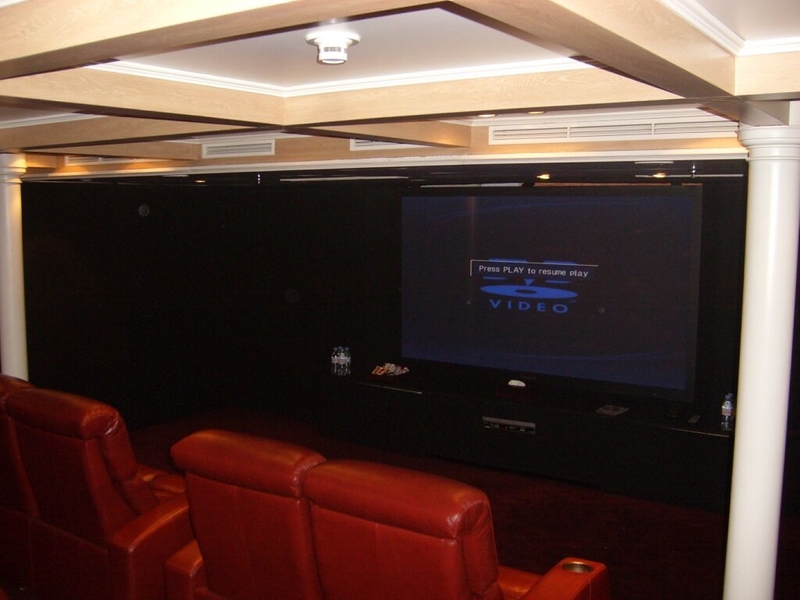 The main salon aft features a 51-inch screen with a great sound system and comfortable seating. 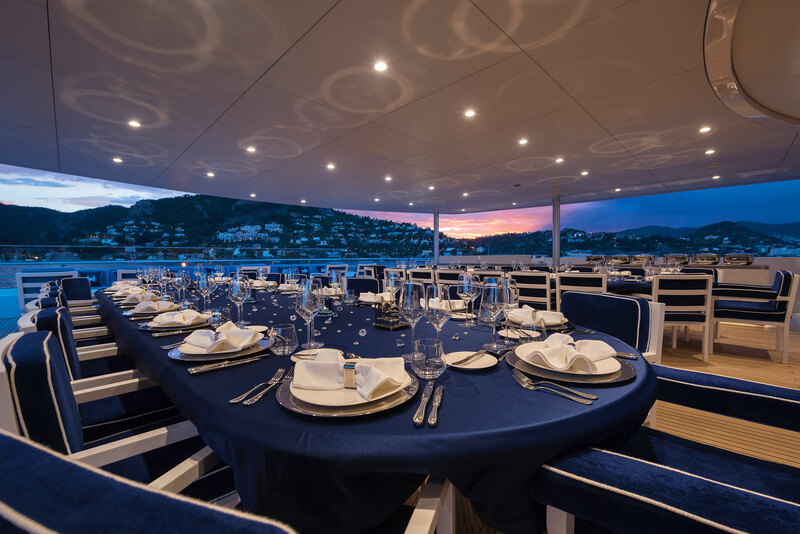 Formal and casual dining options are available at the beautiful dining area with a bar. 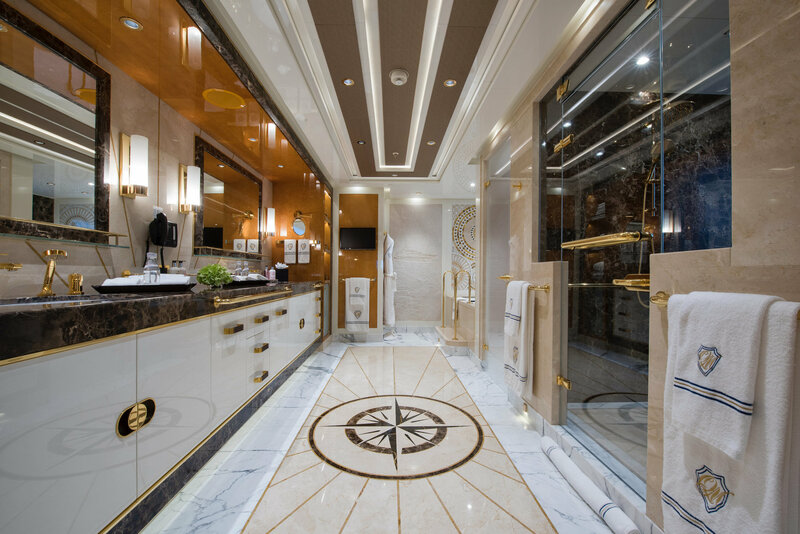 Lavish elements of QUEEN MIRI's interior, such as marble, silk, and woods create opulent, yet welcoming atmosphere. 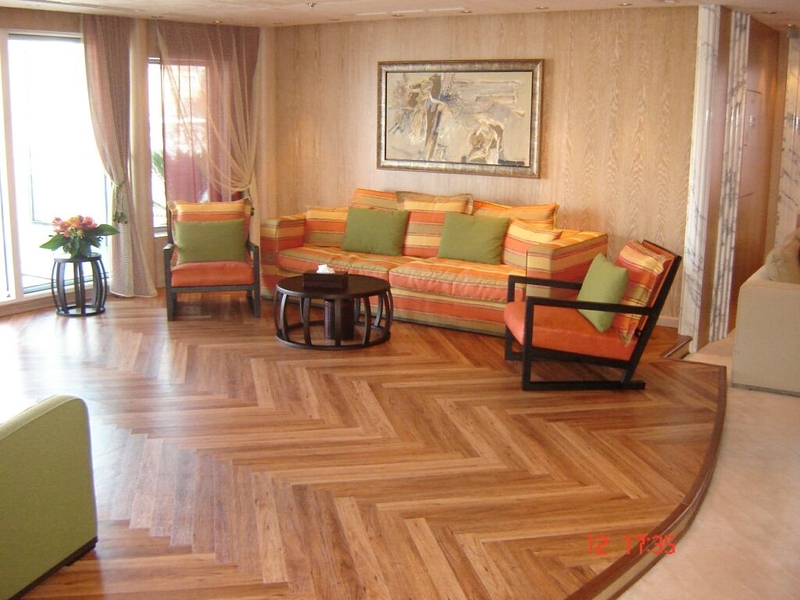 There are also grand piano, armchairs and large sofas for total comfort and relaxation. 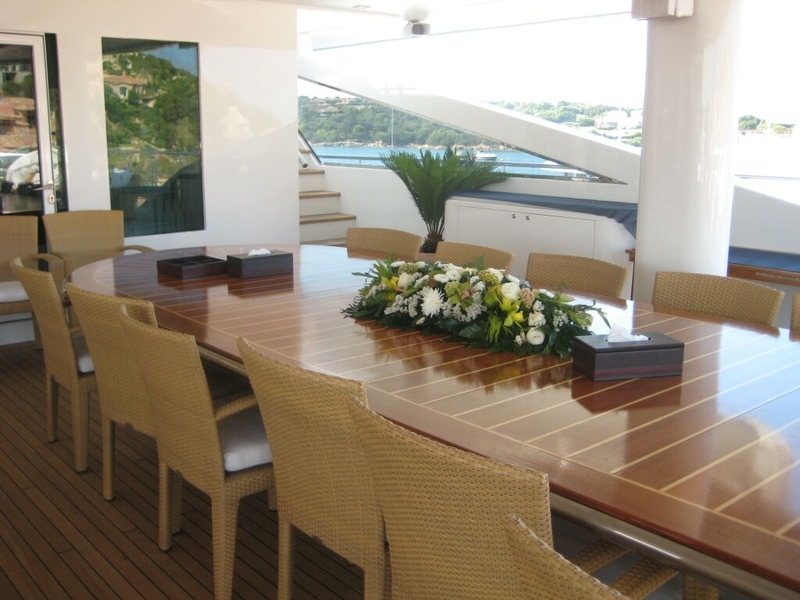 Hosting large parties, conferences and special events are ideal aboard luxury yacht QUEEN MIRI. 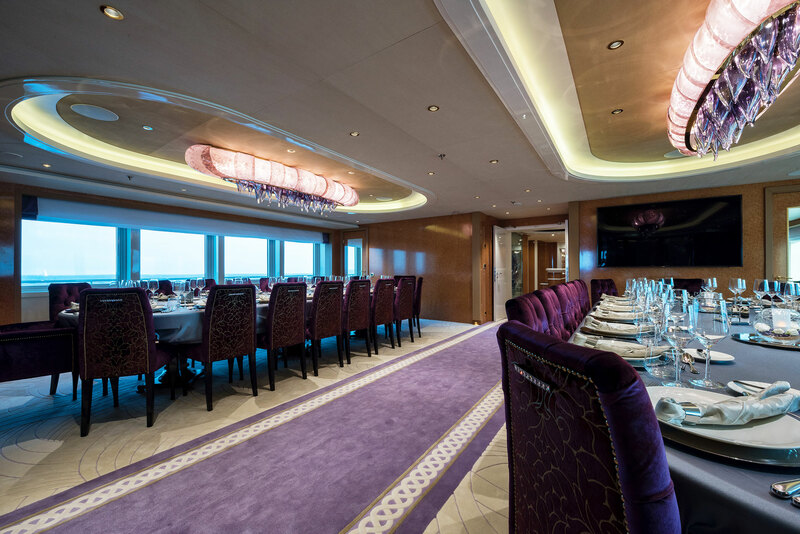 The dining area seats 36 guests and easily converts into a meeting room. 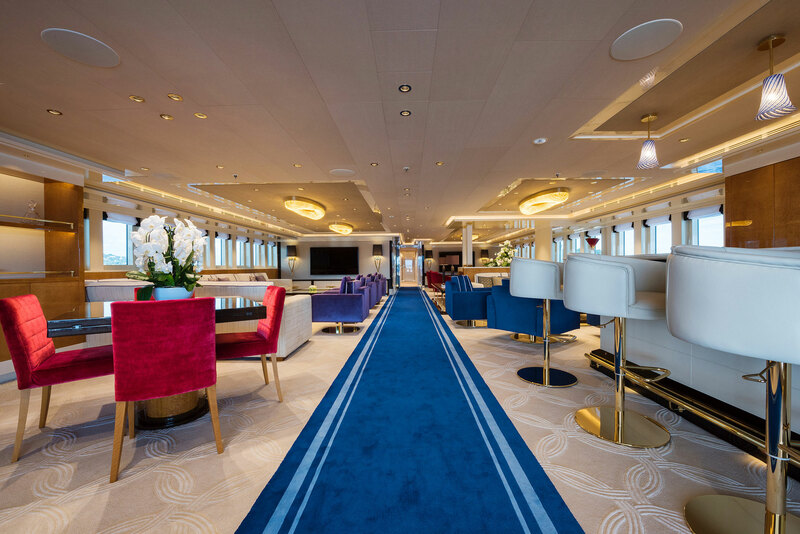 The upper deck features two private lounge areas, each with a TV, a card table and a bar. 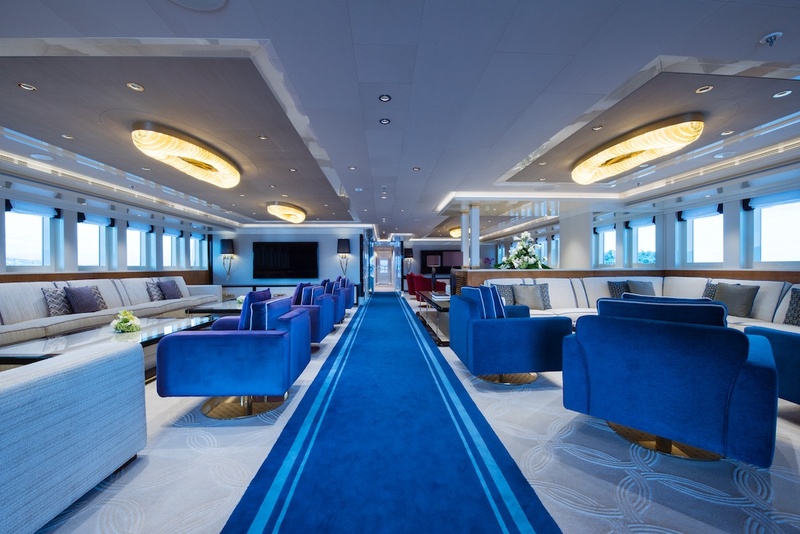 Extensive library with a vast variety of books is also located on the upper deck. 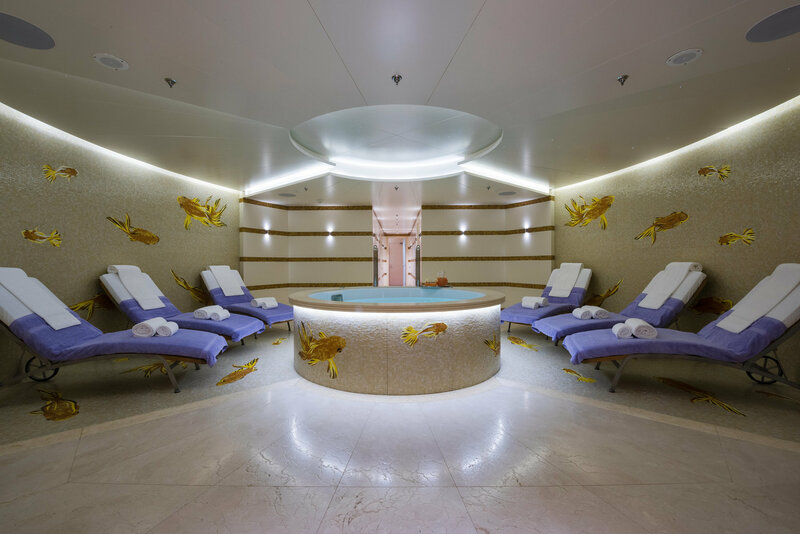 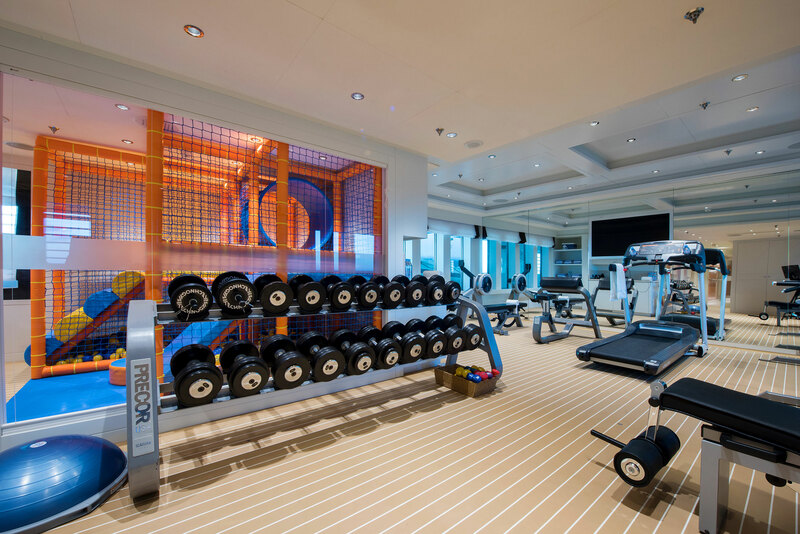 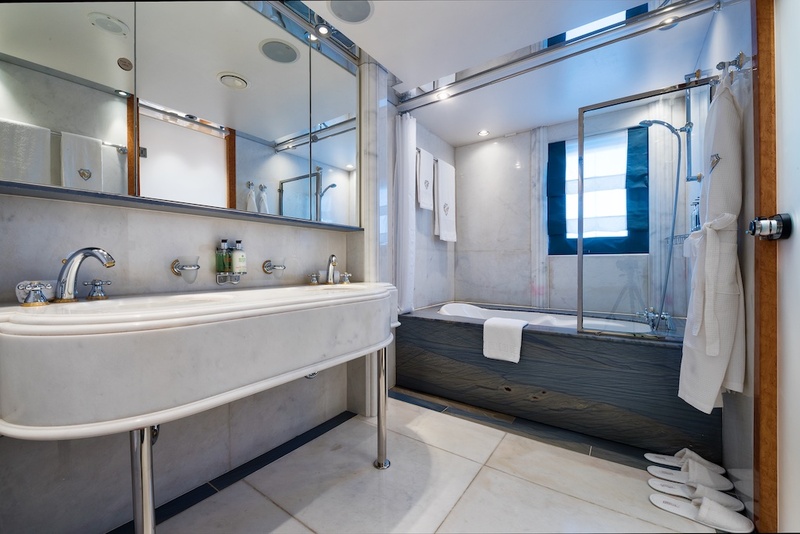 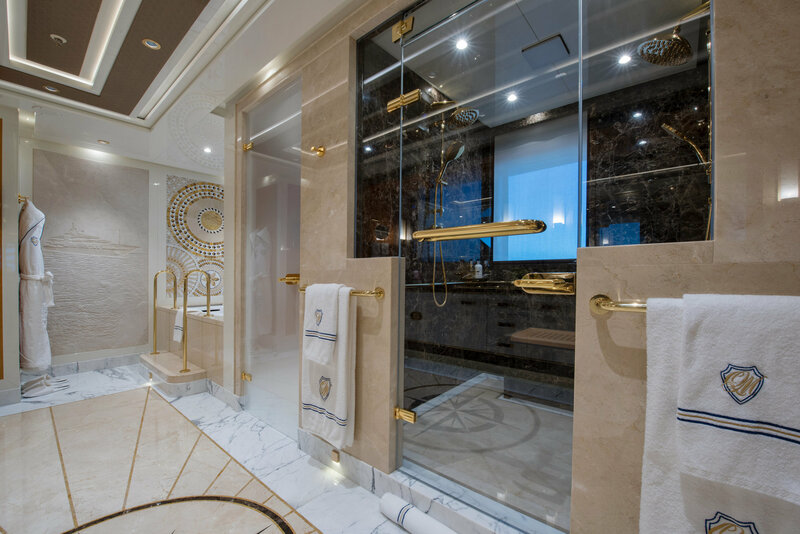 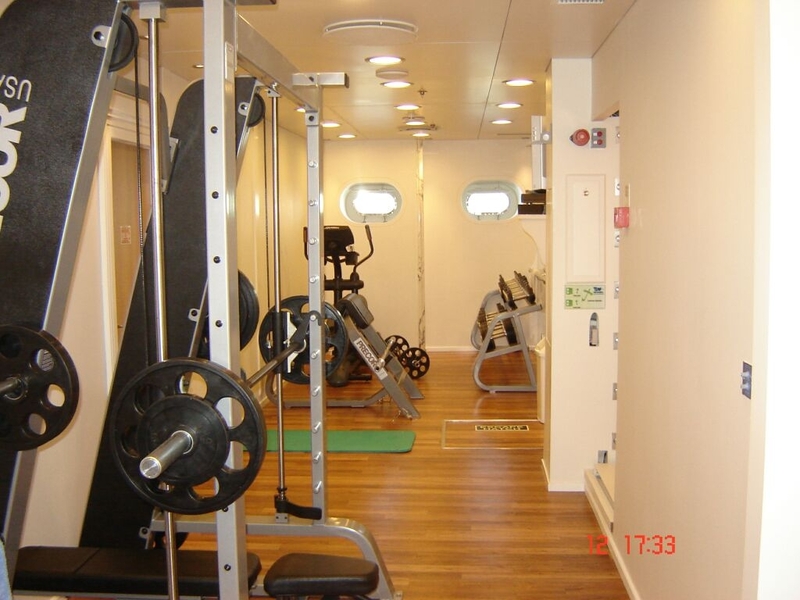 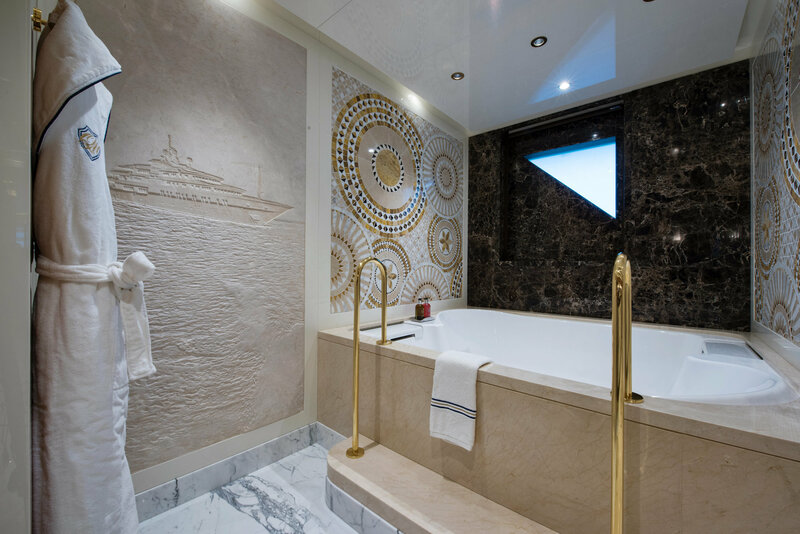 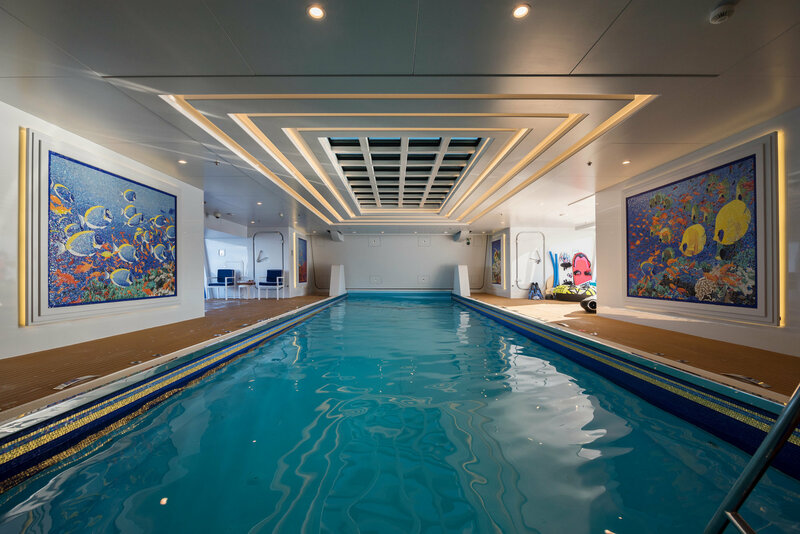 The lower deck features a luxurious health center with Jacuzzi, fully equipped gym, massage room, hair and nail salon, steam rooms, saunas, showers, and Jacuzzi plunge pools. 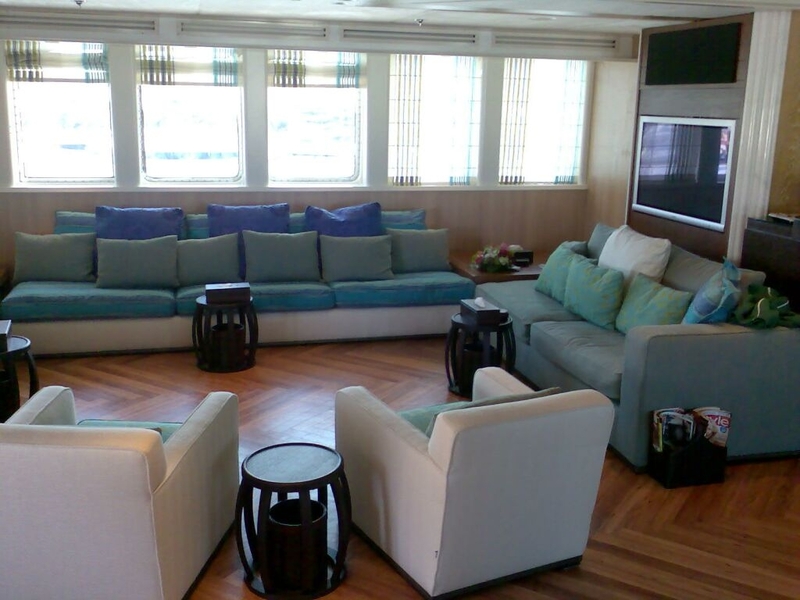 Children play area is also on lower deck, fully supervised by the crew. 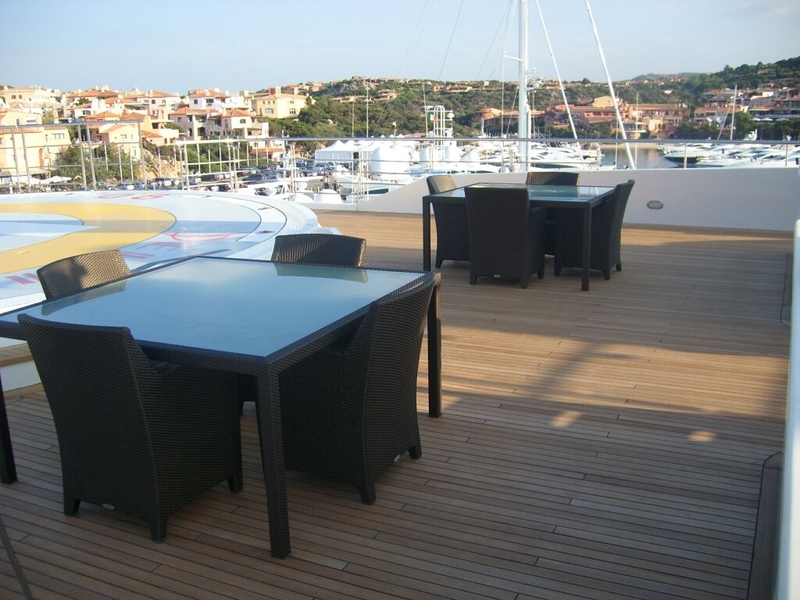 QUEEN MIRI also boasts a wine cellar and sundeck plunge pool. 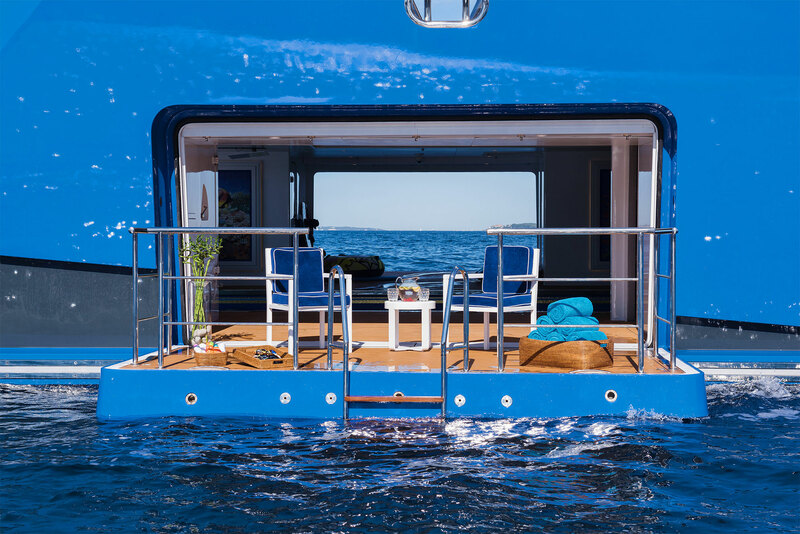 Offering a great variety of water toys, this yacht is perfect for those who love active lifestyle and watersports. 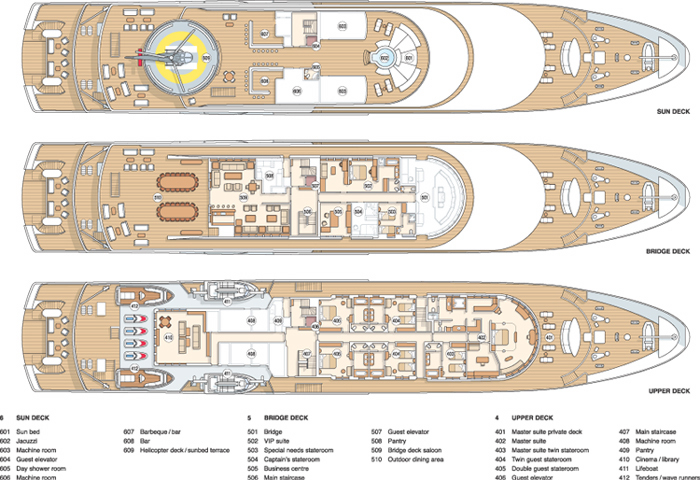 There is a helicopter deck, fully equipped and certified to 4.9 tons. 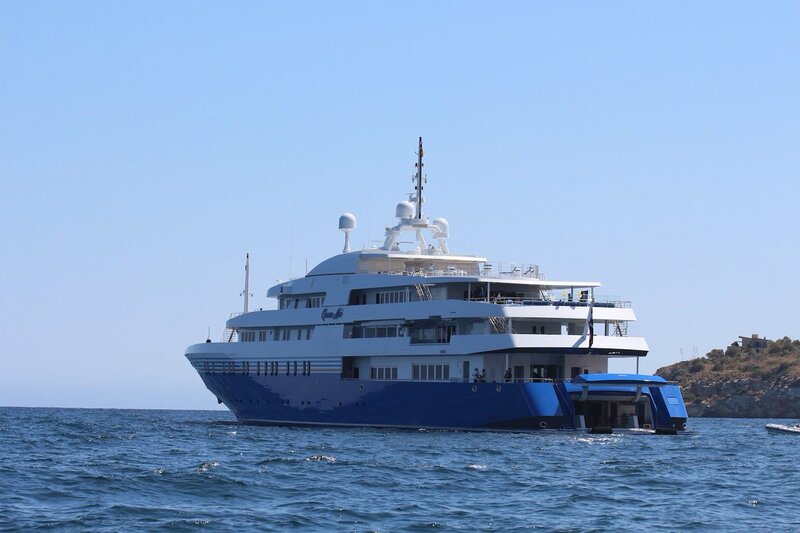 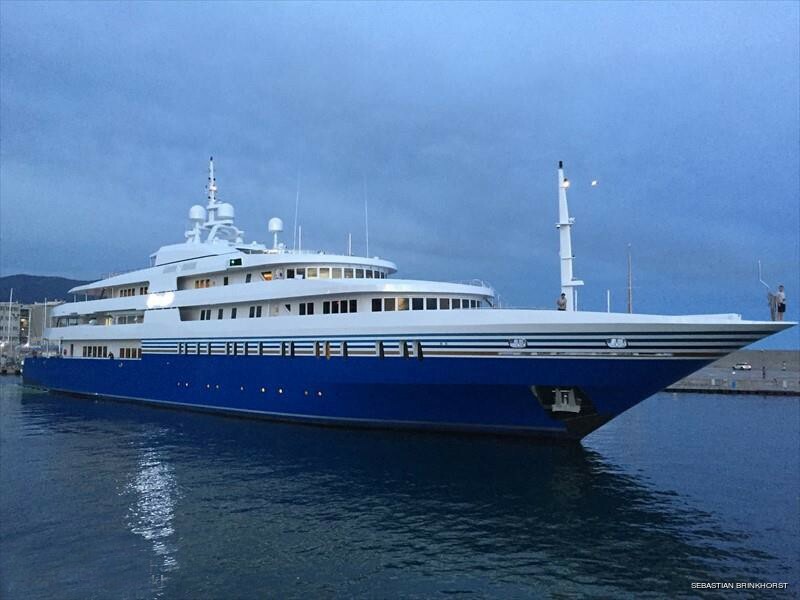 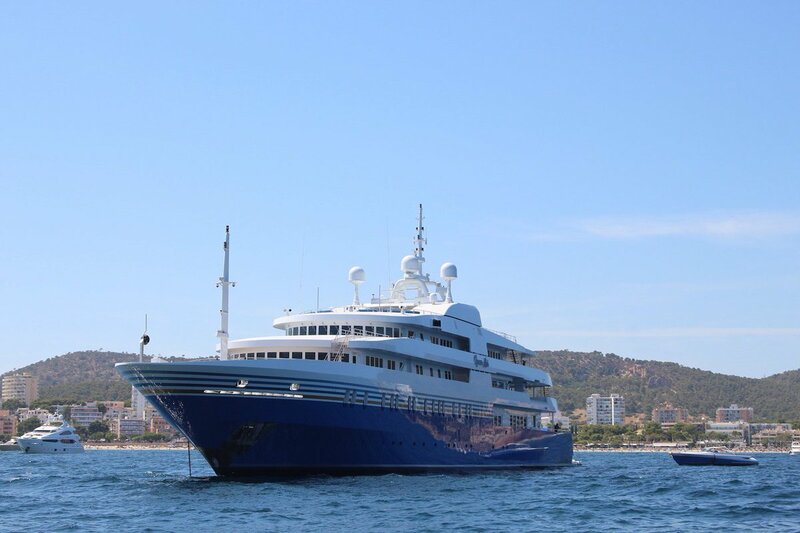 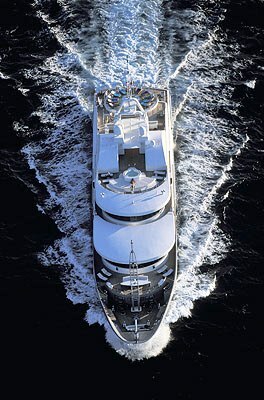 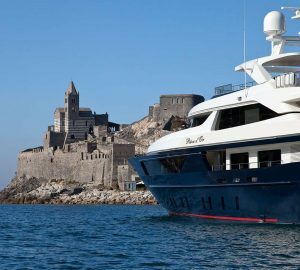 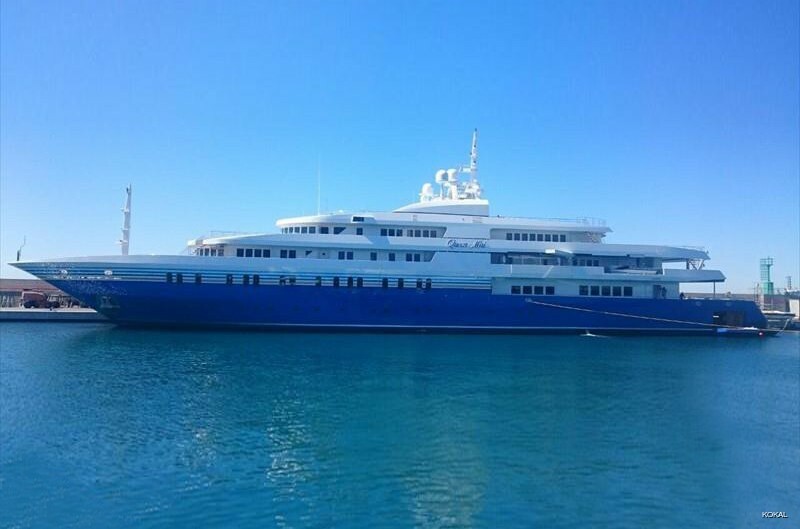 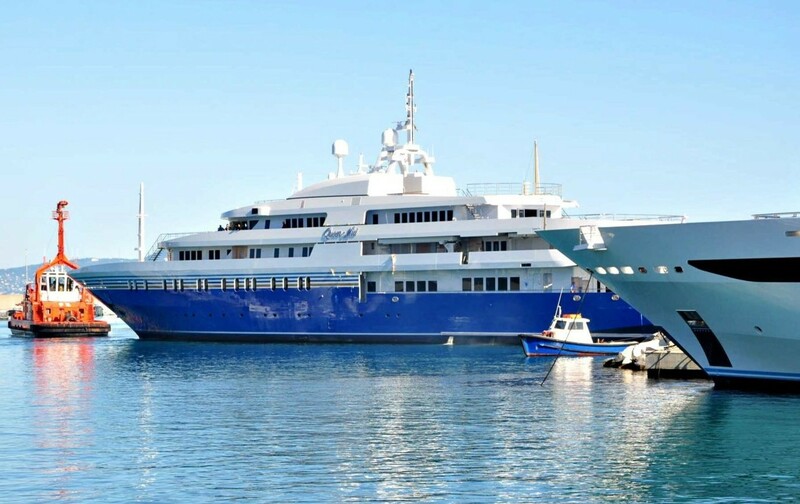 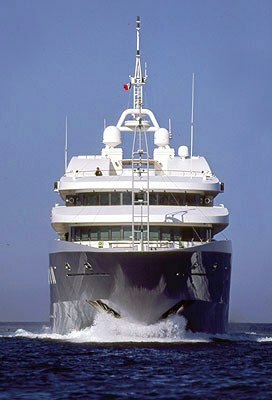 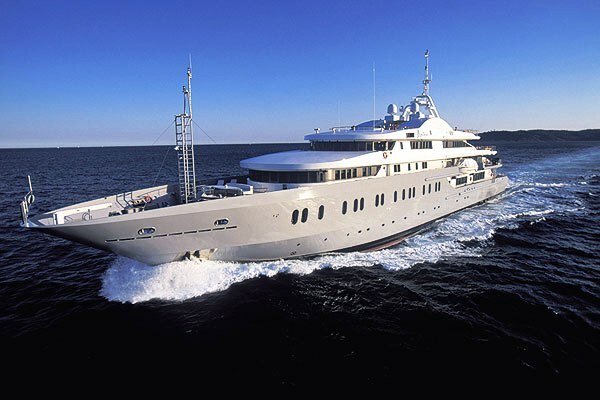 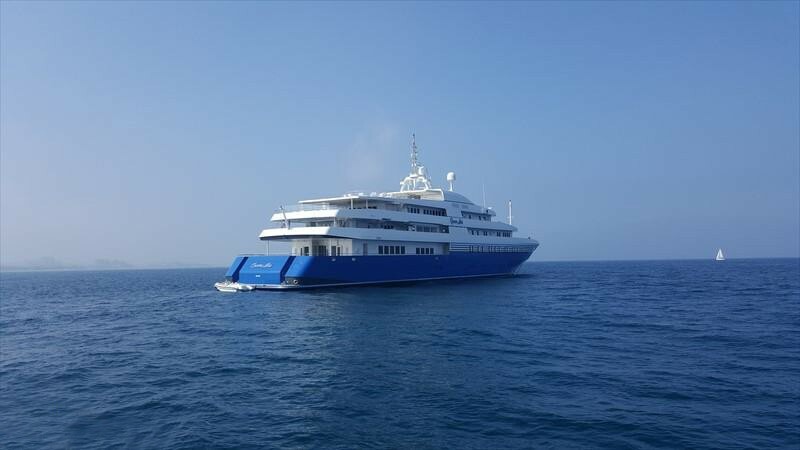 Motor Yacht QUEEN MIRI (ex Delma, Annaliesse) provides luxurious accommodation for 36 charter guests. 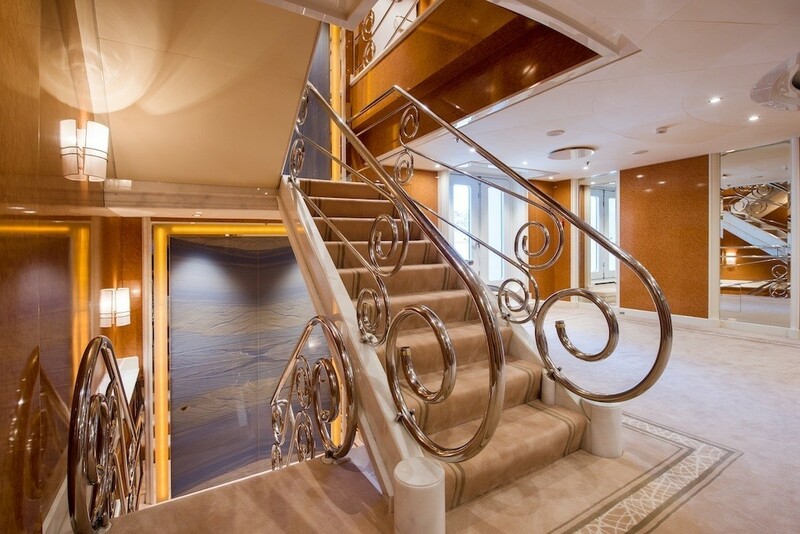 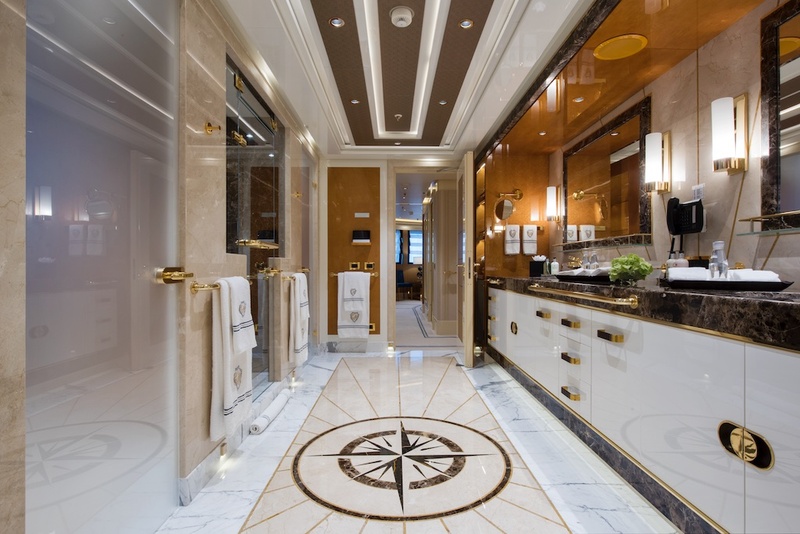 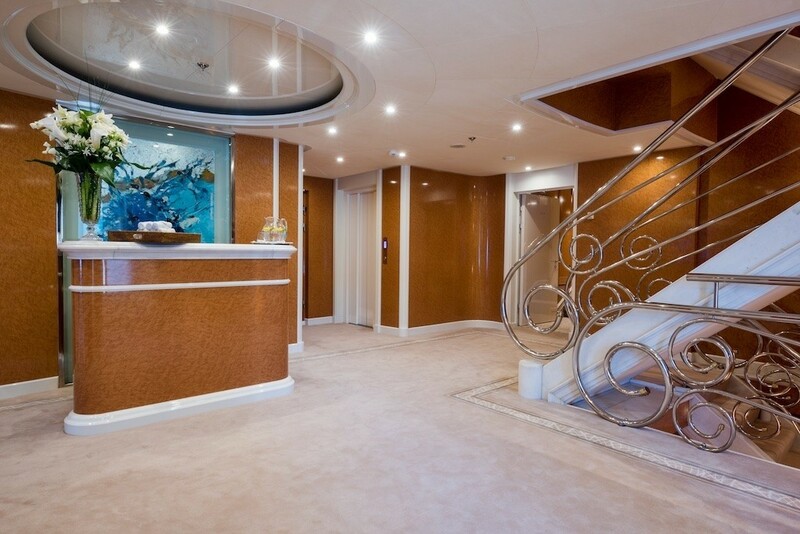 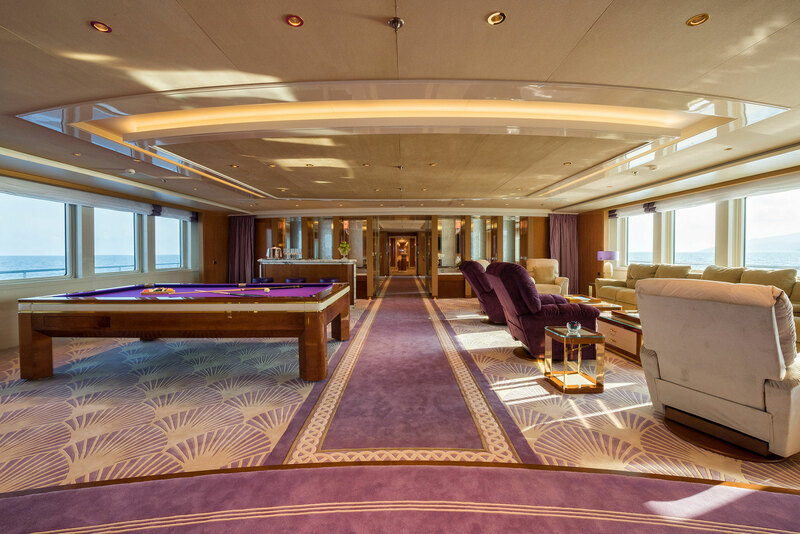 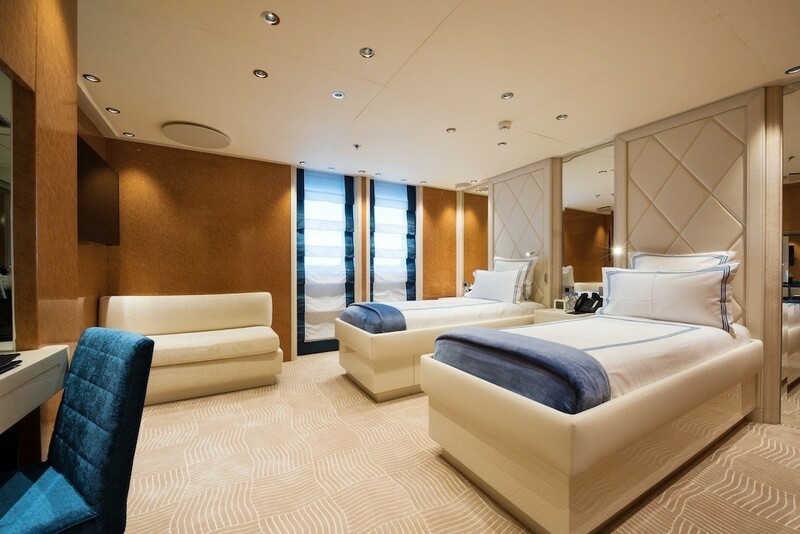 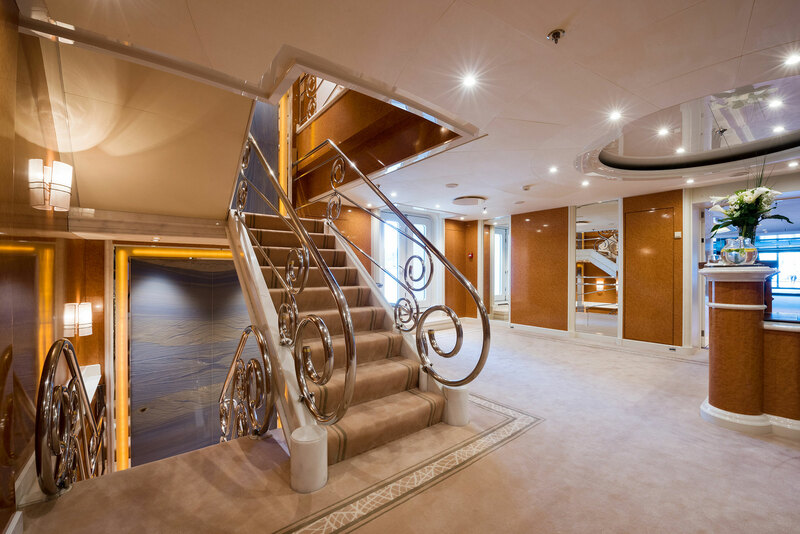 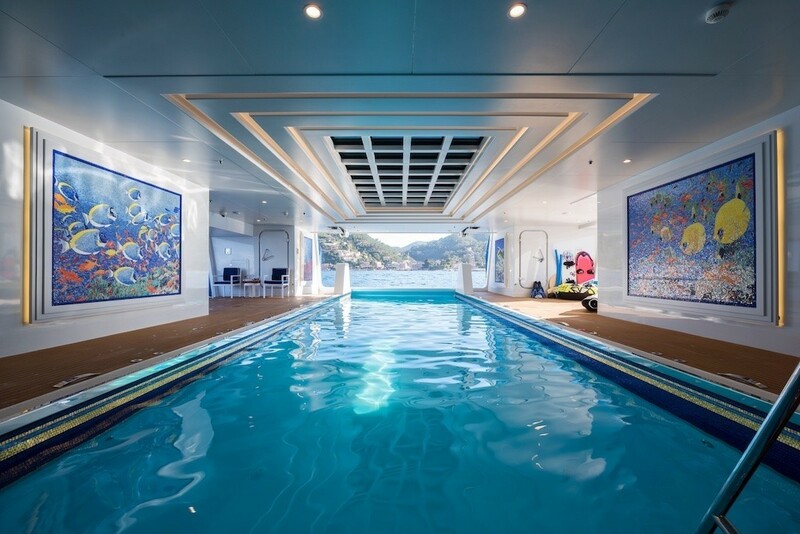 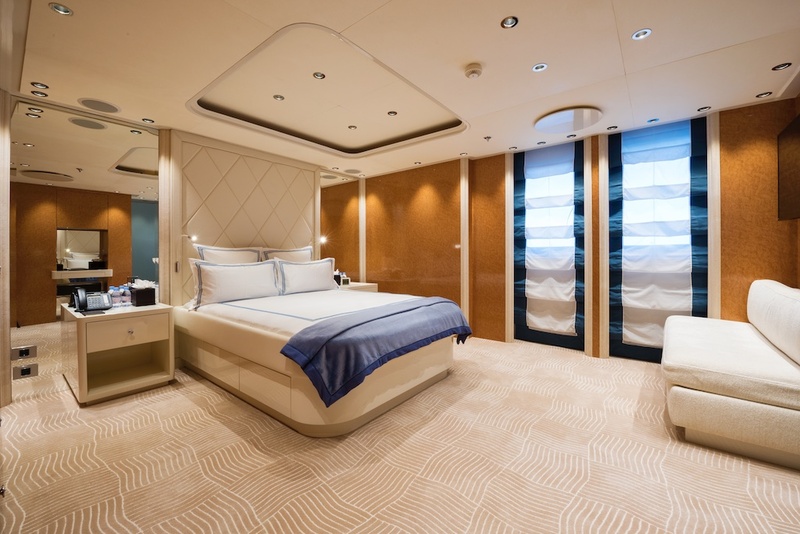 The Master suite is on the upper deck and is of a generous size. 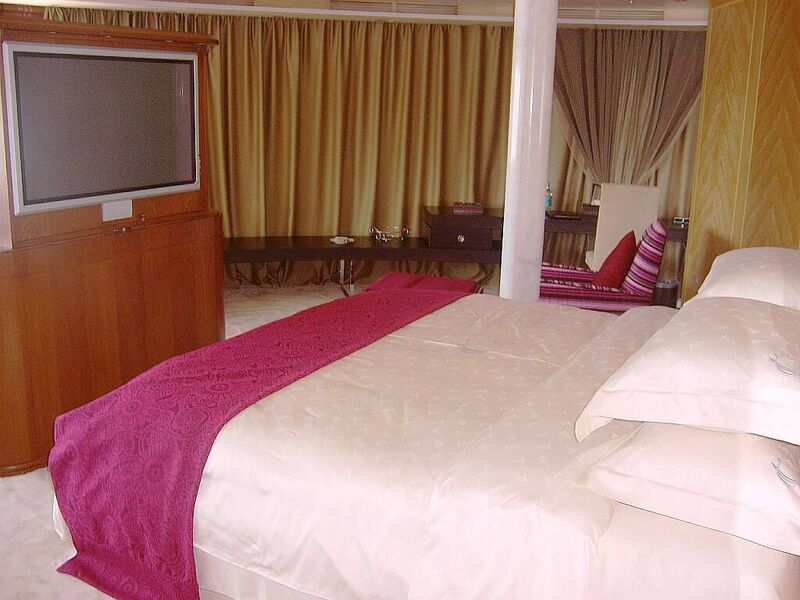 The suite has a king-sized bed, Plasma TV, male & female dressing rooms, Jacuzzi, private study and adjoining twin room. 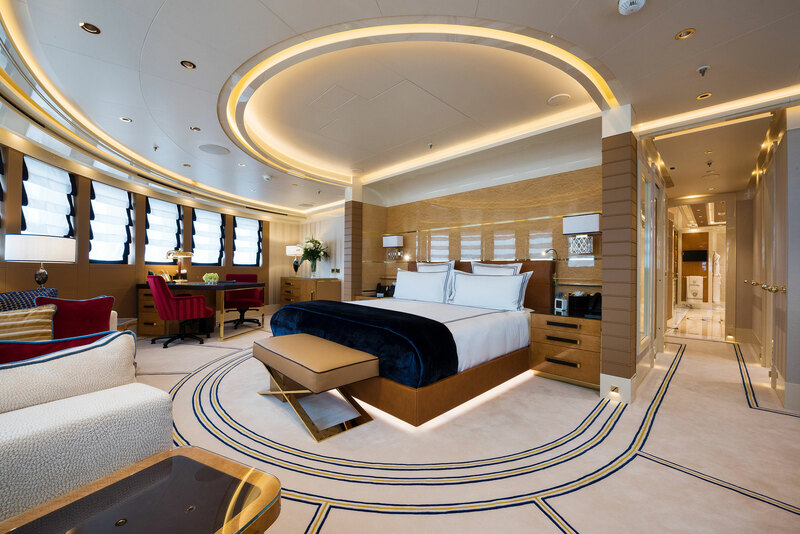 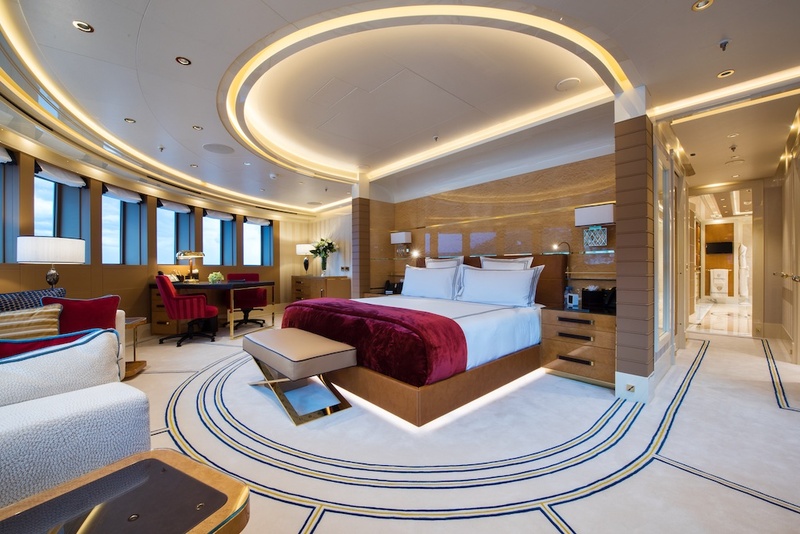 The VIP stateroom is located on the Bridge deck and features a lounge, study, and comfortable double sofa bed, as well as a king-sized bed, Plasma TV, and Jacuzzi. 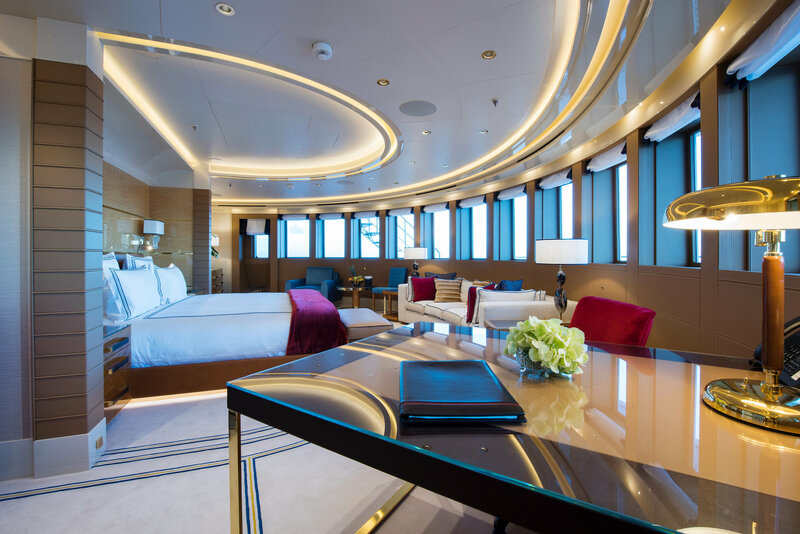 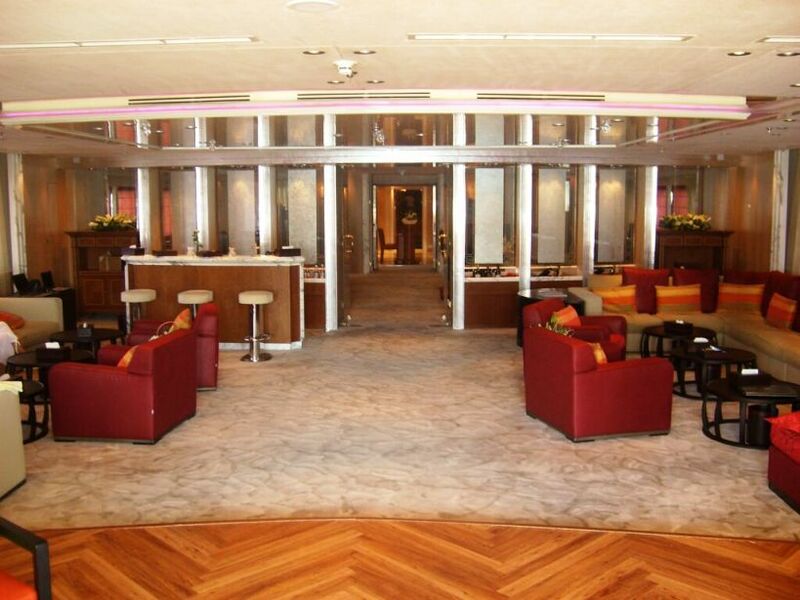 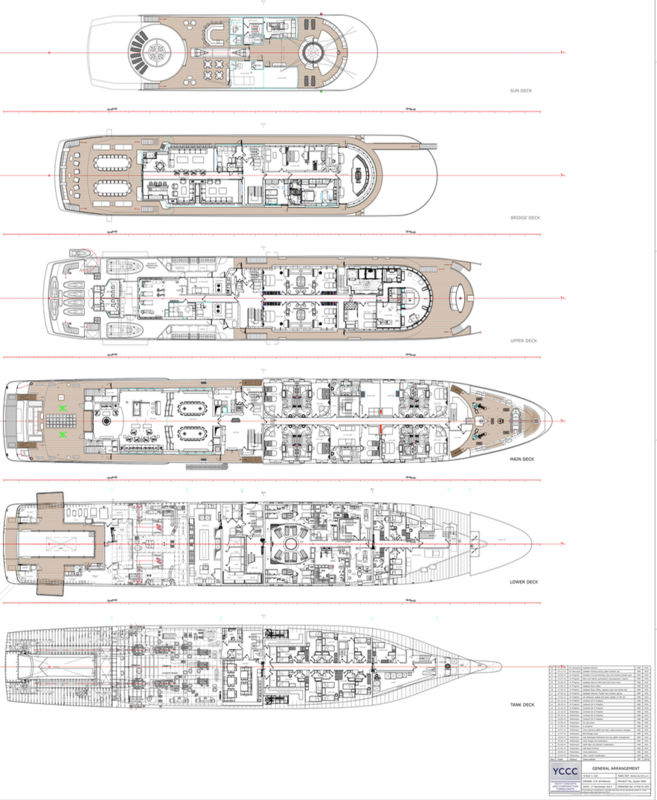 There are eight king-size staterooms and seven twin cabins. 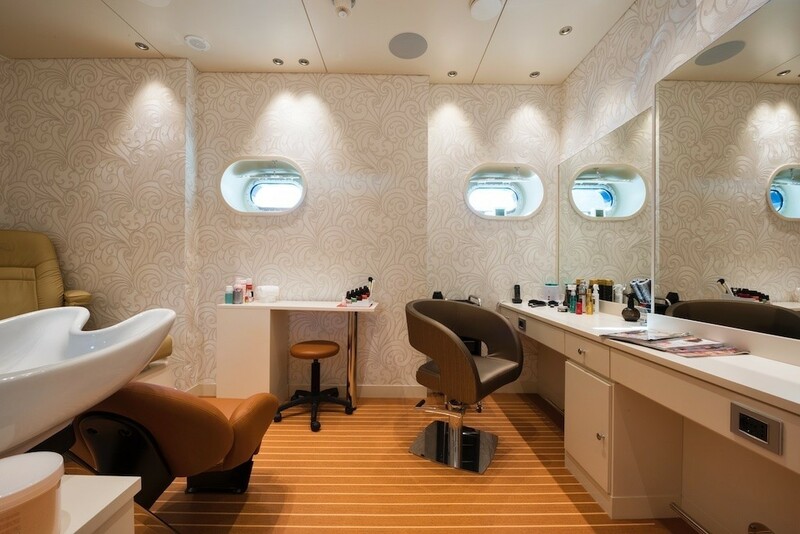 Each cabin is equipped with an A/V system, desk and internet connection. 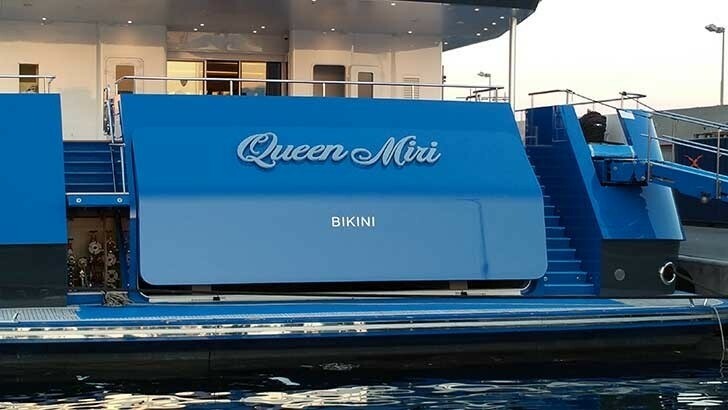 Motor Yacht QUEEN MIRI offers the following amenities and extras: Communications Equipment Onboard business centre Internal LAN for computers Digital PBX telephone system and ISDN compatible software System has over 80 lines including 5 satellite connections linked via an Immarsat Ship to Earth Station Watersports Equipment 2 x tenders 2 x semi enclosed lifeboats for 27 pax. 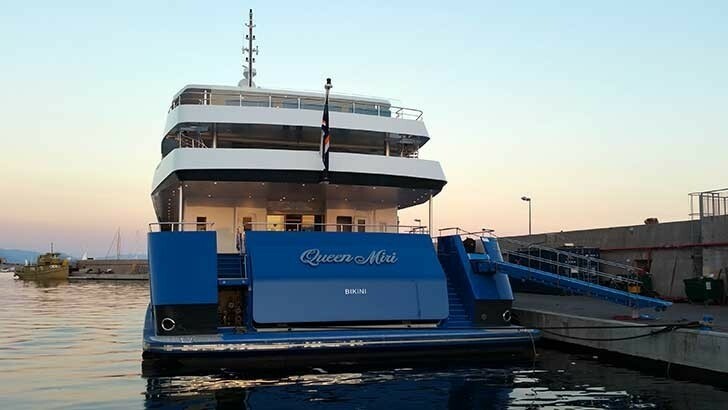 with diesel engines 2 x open speed boats for water skiing Diving equipment Wind surfers 6 x personal watercraft (jetskis) Audio/Visual Equipment All staterooms are equiped with Stereo, DVD and flat screen plasma televisions and IT equipment Other Equipment Spa Pool dip pool Plunge pool Air Conditioning Barbecue Cinema Guest elevator Fully equiped gymnasium Childrens play room Guest spa Steam room & sauna.